Orlando has it all - take the theme parks for example - Walt Disney World, Magic Kingdom, Epcot, Universal Studios and Islands of Adventure with the Wizarding World of Harry Potter in between. When looking for that important car hire Orlando Airport, at Best Car Hire, we compare car hire Orlando to find the best car hire deals at Orlando Airport, Florida, USA. Why Compare Car Hire Orlando Airport ? Like all good travel comparison websites, when you compare car hire Orlando Airport with Best Car Hire we will find you a selection of cheap car hire Orlando Airport offers, and by doing this comparison will save you money. By pre-booking the best Orlando Airport car hire online, your preferred vehicle will be ready and waiting for you. This allows you more time to hit the road and commence your important business itineray or travel to your luxury holiday destination in Orlando or further afield in Florida. Be it a short term or a long term rental, avoid over-the-top fees and choose from a selection of the best Orlando Airport car rentals including people carrier, luxury cars, SUV, economy, executive, saloon or hatchback vehicles at the cheapest price that suits your budget. Which Car Hire Companies are Based in Orlando Airport ? We compare car rental Orlando Airport prices to provide a selection of the the big international car rental companies to rent a car from including Hertz, Avis, Enterprise, Budget, Alamo, Dollar, National, Sixt and Thrifty. Whether you are looking for luxury car rental, exotic car rental, minivan or people carrier hire Orlando Airport book your Orlando International Airport car rental in advance before you fly to ensure you get the best prices and the best vehicles available. What is my Choice of Car Hire at Orlando Airport ? Rent a car Orlando Airport from a selection of economy-sized, larger car or luxury car rental deals, with or without air conditioning, automatic or manual transmission and with limited or unlimited mileage. Choose your Orlando hire car from the following :- Chevrolet Cruze, Chevrolet Spark, Chrysler 200, Dodge Avenger, Ford Fiesta, Ford Focus, Ford Fusion, Hyundai Accent, Hyundai Elantra, Kia Rio, Mitsubishi Mirage, Nissan Sentra, Nissan Versa, Toyota Camry, Toyota Corolla, Toyota Yaris Sedan and the Volkswagen Jetta. Can I Arrange a Minivan or People Carrier Hire Orlando Airport? A People Carrier is the best economical choice of vehicles for all those occasions where you need to transport the family around or multiple groups of people such as weddings, anniversaries, children’s parties, hen parties, stag parties or sporting events. If you are arriving at Orlando Airport and your group of friends want to hire a people carrier or a minivan to see a big football or baseball match, or have a fun golf outing somewhere in Florida, we recommend that you pre-book online, the best MPV on offer, at least two months in advance. As such, you will find that car hire Orlando Airport will be easier and you will get cheaper people-carrier rental rates. The summer time, Christmas and Easter holidays are our busiest times for MPV or people carrier hire Orlando Airport, so it is best to plan your car hire accordingly. Most minivans come with sliding doors for easier access and with flexible seating arrangements to make the journey easier (backseats can be easily removed or can fold to the floor to provide more luggage storage), additional safety measures, and all-round visibility (most have a sunroof), all our versatile people carriers or minivans come with refreshing air conditioning (AC), so you will remain cool and comfortable even with a lot of passengers in the people carrier. We find that holidaymakers to Florida benefit from a people carrier hire Orlando Airport especially when they need a larger car rental for 6 seater, 7 seater, 8 seater, 9 seater or even 15 seater travelling parties - oh and did we mention? - people-carriers can be fun to drive! Included within our cheap car rentals Orlando Airport we can offer minivan or people carrier hire from Orlando Airport, including :- Chevrolet Express, Chrysler Pacifica, Chrysler Town and Country, Dodge Caravan, Dodge Grand Caravan, Ford Clubwagon, Ford Econoline, Ford Transit and the Toyota Sienna. Mercedes C Class, Mercedes CLA, Mercedes E Class, Nissan Maxima and the Range Rover Valur. Most drivers who book their SUV Rentals in Orlando, benefit from its ability to carry more people than your average car, more cost-effective fuel consumption, safer due to their more robust chassis, more comfortable driving off-road on rough terrain due to their extremely efficient suspension and additional hill climbing control due to front-wheel or four-wheel drive (4WD) - handy for the long drives around Florida. Choose the best SUV Orlando Airport from the following makes and models :- Chevrolet Suburban, Chevrolet Tahoe, Chevrolet Traverse, Ford Edge, Ford Escape, Ford Expedition, Ford Explorer, GMC Acadia, GMC Yukon, Hyundai Santa Fe, Jeep Compass, Jeep Patriot, Mercedes GLC, Nissan Armada and the Toyota Rav4. Just remember that with any Orlando car rental deals, the suggested cheapest car rental Orlando Airport may not be the best value for money, so please take this into consideration when you consider any car rental discounts and book the reservation. Where is Orlando Airport ? Situated only 6 miles south east of Orlando, Orlando International Airport is one of the busiest airports in the United States of America and can get swamped during the summer with many families travelling from all over the world to visit the many theme parks, water parks and visitor attractions. 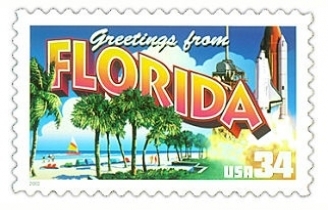 Florida car rental is big business with many holidaymakers travelling to holiday villas and hotels in the Florida resorts such as Pine Castle, Conway, Oak Ridge, Azalea Park, Orlando, Kissimmee, Doctor Phillips, Winter Park, Fairview Shores, Pine Hills, Saint Cloud, Goldenrod, Maitland, Fern Park and Lockhart. Other holiday travellers may choose to rent a car Orlando Airport to connect with a luxury cruise ship at Port Canaveral. Another great Orlando holiday pastime is shopping - get some retail therapy at the shopping malls and outlet centers - which include many of the world's most sought-after brands including Prada, Louis Vuitton, Gucci, Chanel, Saint Laurent, Salvatore Ferragamo, Rolex, Versace, Cartier, Tiffany & Co. among 100 other designer brands in such a compact and bijoux shopping district and outlet options. All travel times are subject to traffic conditions at time of journey. Our partner site Holiday Campervan can help when looking for an affordable RV rental Orlando Airport. Discover the best shopper’s paradise like no other destination in Orlando, Florida. Up to the minute designer brands and the hottest fashion trends are forever in style at The Mall at Millenia and The Florida Mall where keen shoppers will find all the top department stores. Orlando’s famous outlet centers, including Orlando Premium Outlets – International Drive, Orlando Premium Outlets - Vineland Avenue, and the Lake Buena Vista Outlets, feature a wide selection from the world’s top designers for less bucks!